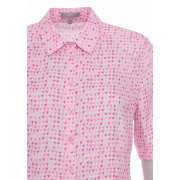 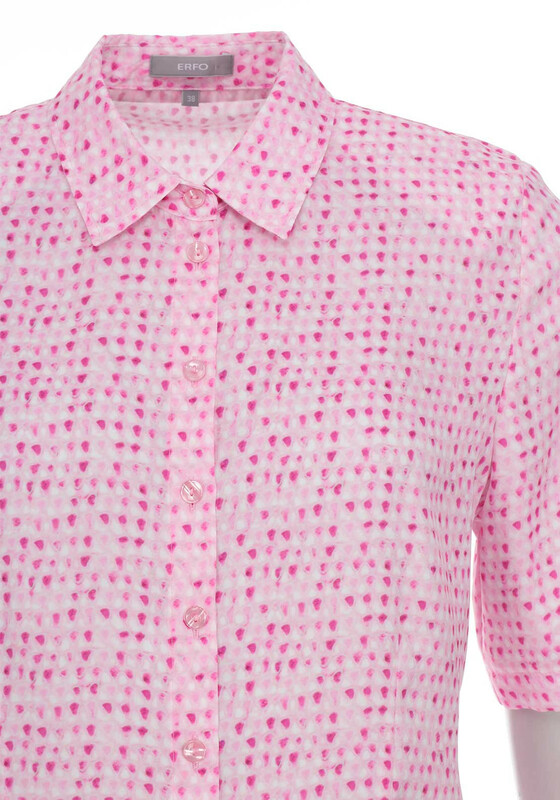 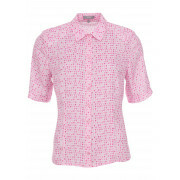 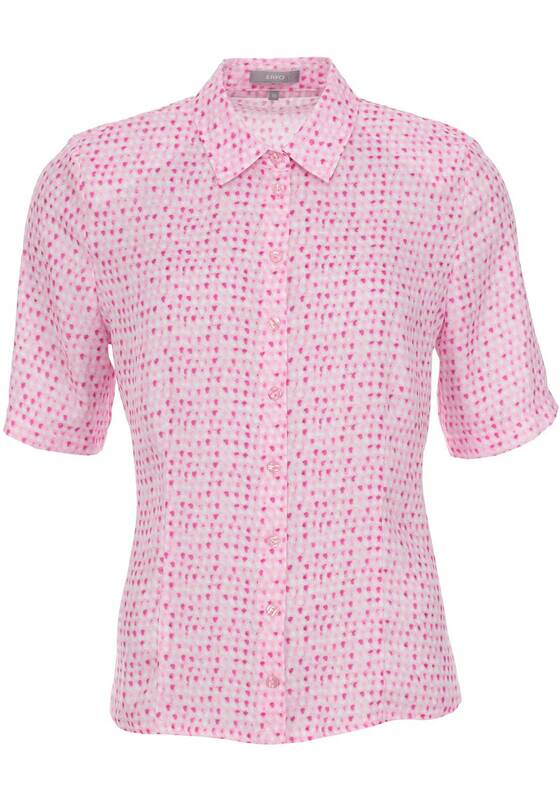 This bright pink blouse from ERFO would look lovely worn with a skirt or trousers for a casual evening out. 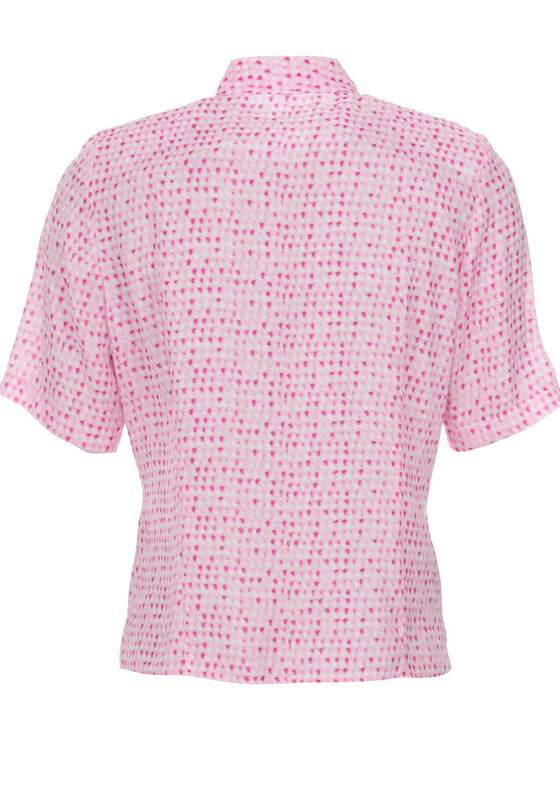 Made from lightweight fabric with a silky finish and all over print. 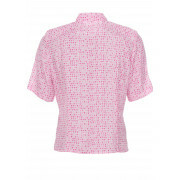 Styled with short sleeves and a figure skimming shape.